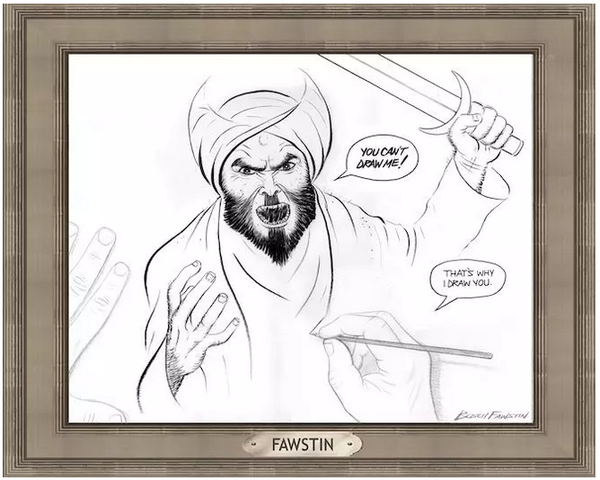 You can totally see why the Garland terrorist were offended by this image–after all, it suggests that Muslims will react violently to cartoons. In the wake of the Charlie Hebdo shootings, I said that gun ownership and concealed carry were essential to protecting our other rights by allowing us to defend ourselves. Well. Looks like I was right. Now, that was technically an off-duty cop hired as professional security, but the principle is the same; it could have been you, or me, or one of the patrons inside the art gallery. It couldn’t have been unarmed French police officers, unfortunately. Of course, the idiots at CNN are calling it “miraculous.” That’s not a miracle, you tools, that’s marksmanship. And fine shooting, too, to take on two men armed with rifles with just a Glock. I hope never to do the same, but I hope if I have to…I have what it takes to win. Need some more range time, I think.